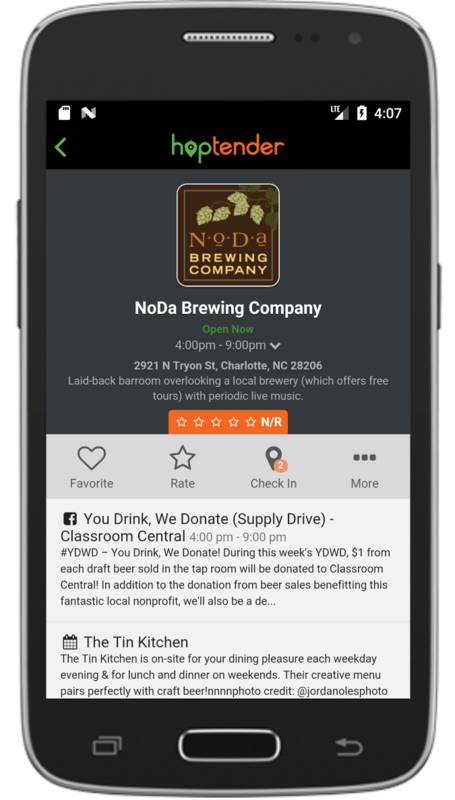 Hoptender is an interactive brewery directory for North Carolina. 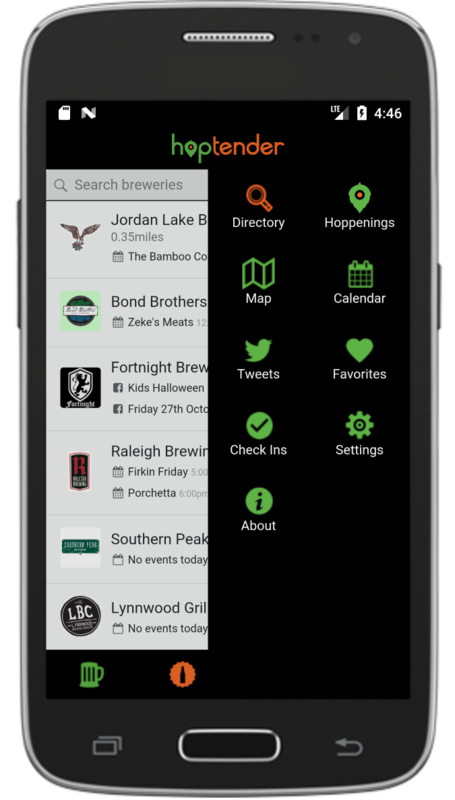 It features over 210+ breweries, 190+ bottle shops, 50+ food trucks, synced calendar events from brewery websites & Facebook, favorites, ratings, and more! 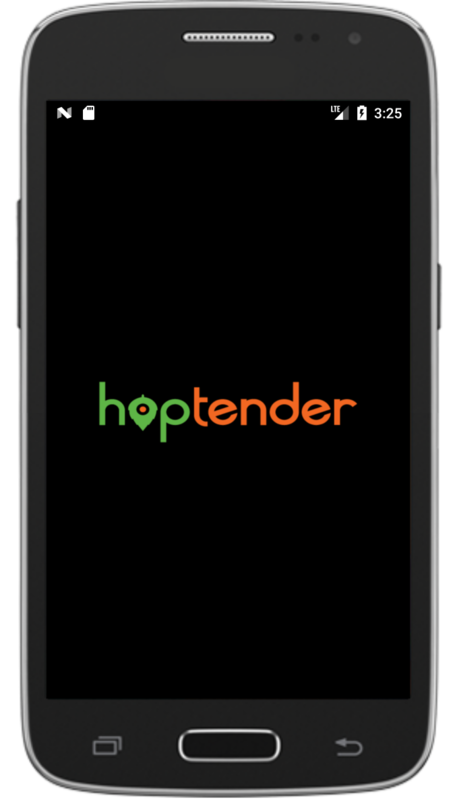 Hoptender is currently available for iOS and Android. There is also a web version that is limited in features. Our database includes over 210+ breweries and 190+ bottle shops in North Carolina and is actively maintained. 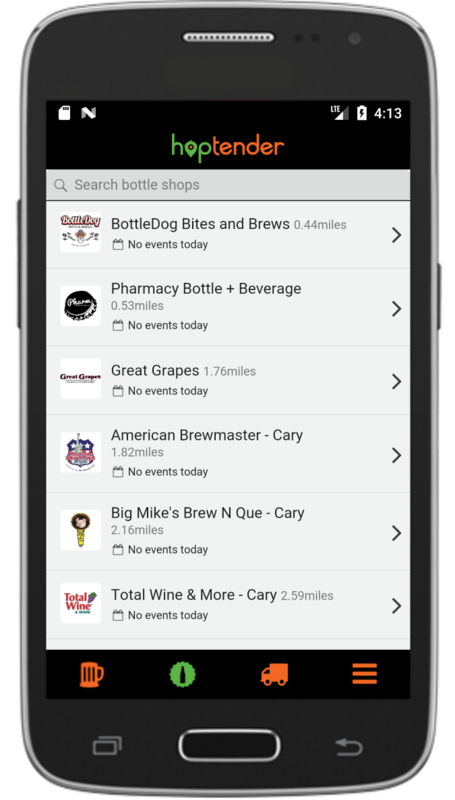 We sync events from brewery websites, Facebook pages, and Google Calendars and present it to you in one interface. Discover listings close to you easier with an interactive map view powered by Google Maps. 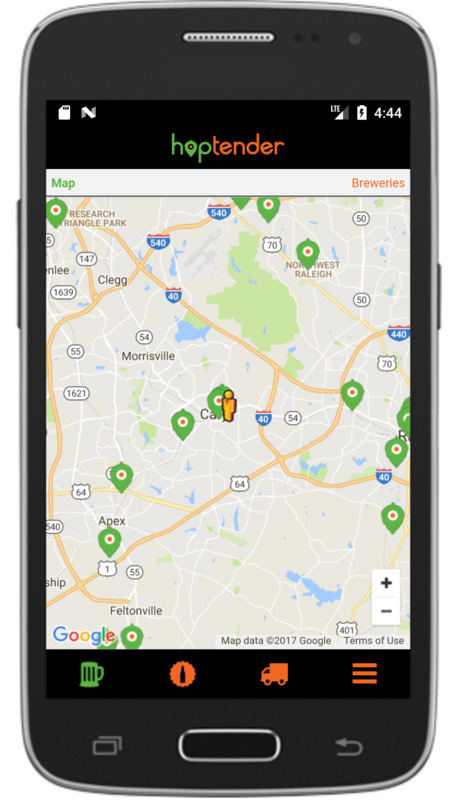 Sort events and breweries based on your location. 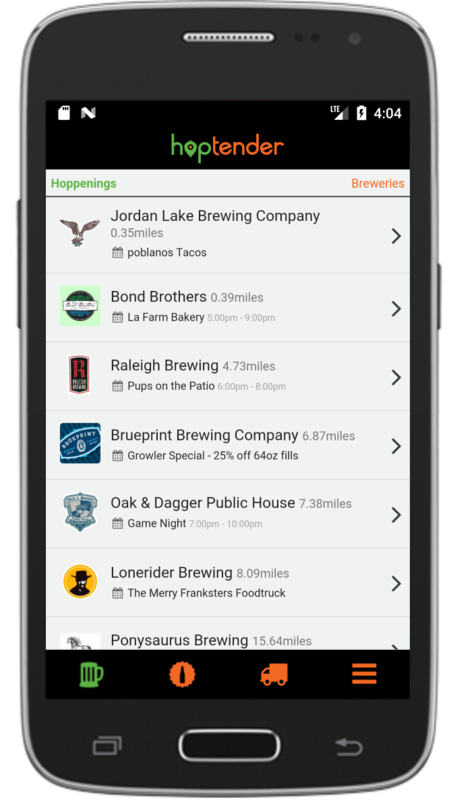 You can also choose a search radius filter to show only events and brews close to you. 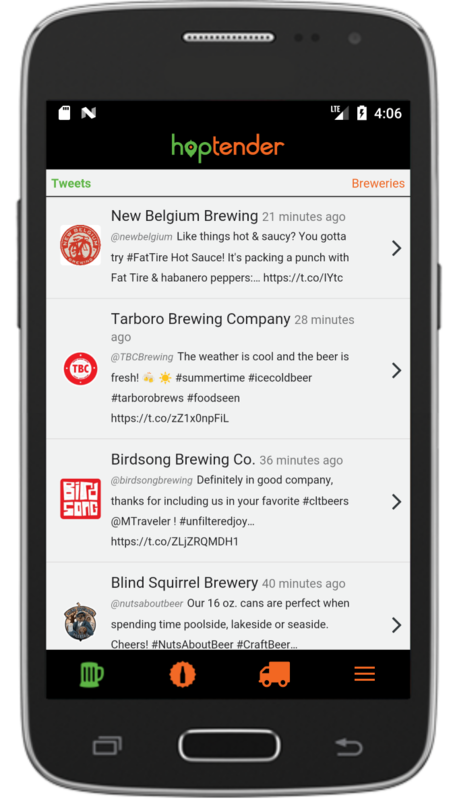 Keep track of your Favorite breweries and get notified about the latest events. Check In at the breweries your visit, optionally share your Check In on social networks, and keep a log of your Hoppenings. Lots of information included on each brewery page, including opening hours, contact info, social media links, and more. Browse by location, alphabetically, or use the search tool to navigate our database. 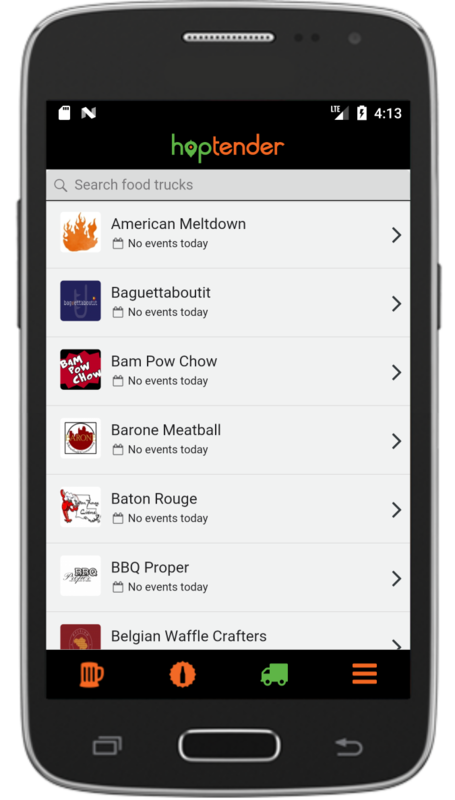 We are syncing events from Google Calendar for a number of food trucks, more to be added soon! With the Business Portal, business owners can claim and manage their listings, add events, sync Google Calendar & ICS feeds, and more. The app is 100% free and also ad-free.